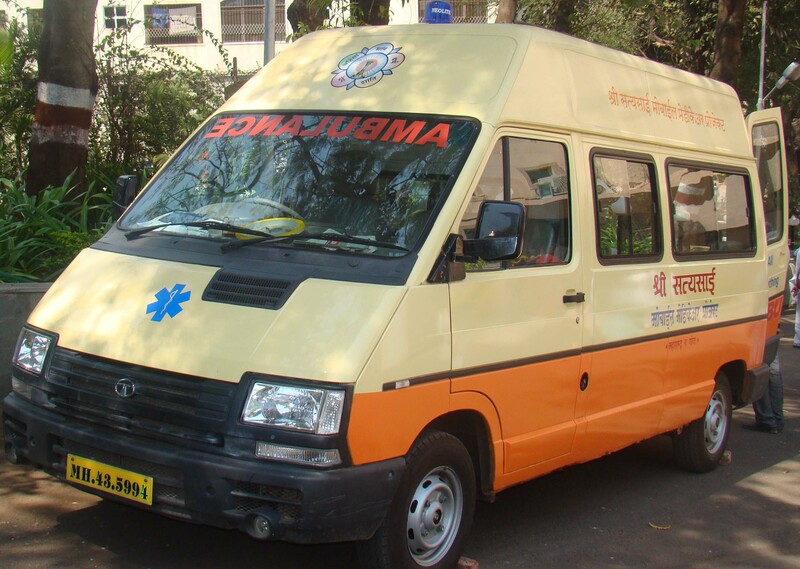 With Bhagawan's Grace, Chembur Samithi will be commencing their third Mobile Medical Seva at Vatsalatai Nagar, opposite Shiv Shristi, Kurla (East) on Mondays from 1.15pm to 3.45pm. The inaugural session would be held on 2nd October, 2017 at 1pm. Request everyone to attend the inaugural session and partake the joy of Seva at the same venue. In today's Tryst with Divinity, we bring you the third part of a scintillating conversation with Mrs. Kamala Pandya and Mr. Nimish Pandya, a dedicated wife and husband duo who have together served Bhagawan's mission for decades. Mrs. Kamala Pandya is a two-time gold medalist from the Bombay University, once for her Bachelors in Psycology and the second time for excelling in Legal Jurisprudence in Law. She was married in Puttaparthi by Bhagawan Himself and as per His command, she studied Law after marriage and changed her profession from teaching to pleading. She is presently a practicing Advocate in Mumbai. 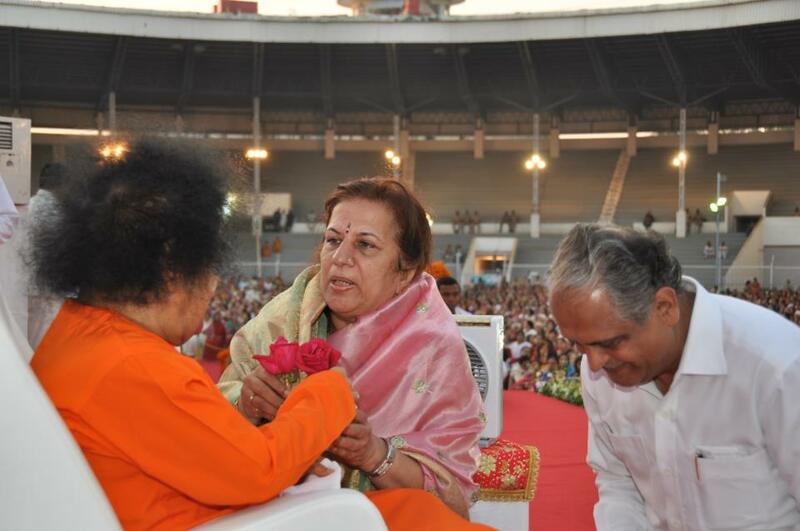 Mrs. Pandya is also the Deputy National Coordinator of the Sri Sathya Sai Balvikas Education Program. Her husband Mr. Nimish Gulabrai Pandya hails from a family of attorneys and is presently practicing as an Advocate in the high Court of Mumbai and as a Notary Public. He heads the law firm, Pandya & Co., Mumbai and is on the Board of Directors of many leading corporations in India. Mr. Pandya is also the National Vice President of the Sri Sathya Sai Seva organization. He is in charge of the Sai education program in India, including Bal Vikas and the Sri Sathya Sai schools and is a trustee of the Sri Sathya Sai Trust, Maharashtra state. He has been associated with the EHV program since its inception. Mr. Pandya has directed several value-based ballets and dramas with children and youth in Bhagawan's presence. Listen to the wonderful experiences of this pair of high-profile lawyers from Mumbai. With SWAMI'S grace everything went well. School children were very happy. They did very good job. 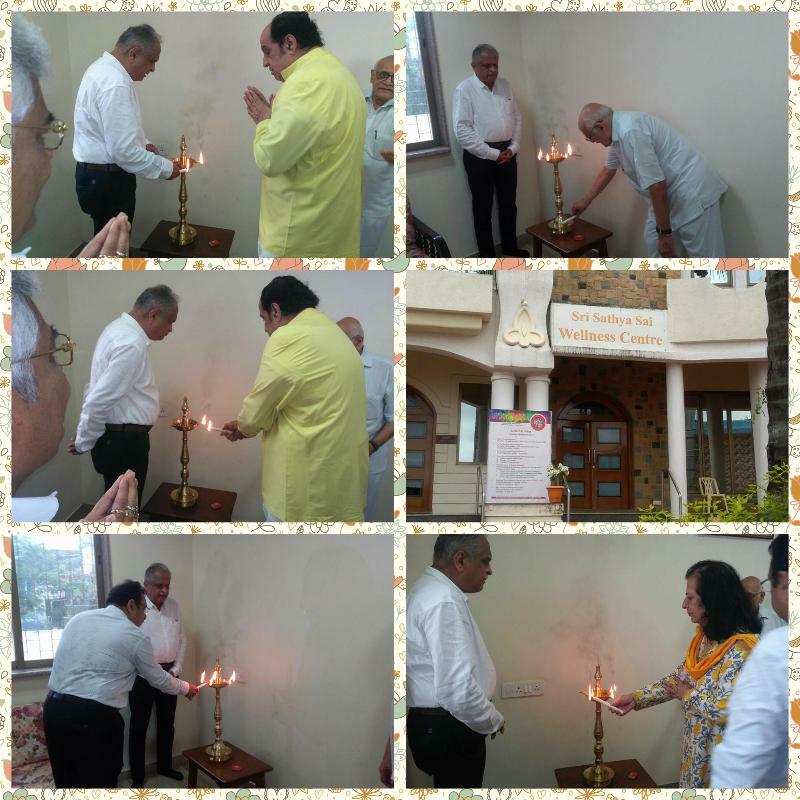 Photos taken on the occasion of the inauguration of the Counselling Section of the Sri Sathya Sai Wellness Center - Dharmakshetra on 21st September 2017. Haldi Kumkum, Laksharchan and Prasad to be done by the respective samithis. 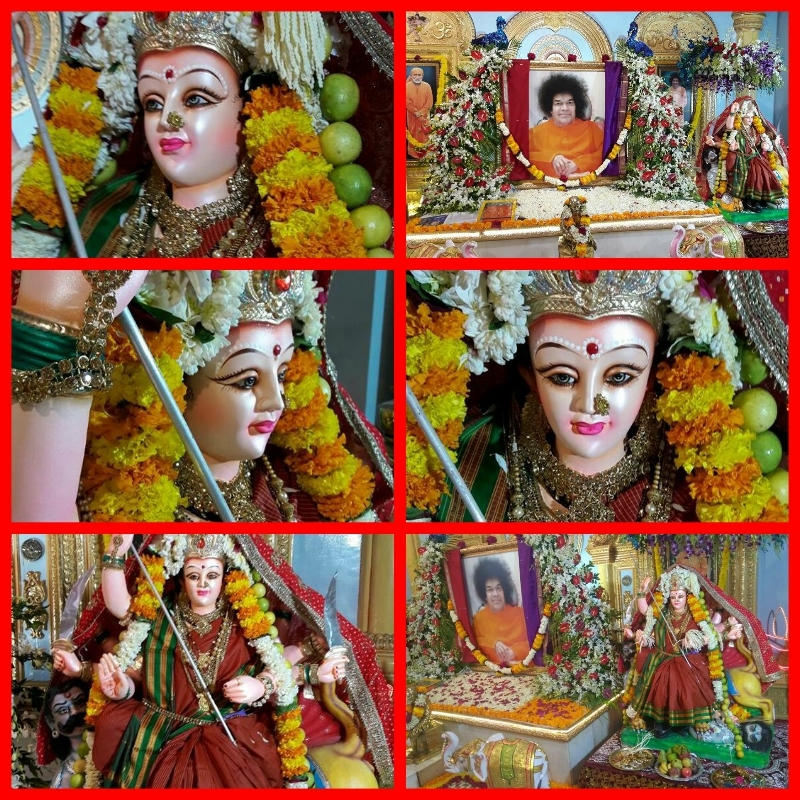 Haldi Kumkum, Laksharchan and Prasad to be done by the respective Samithi. 9.45 – 1.00 pm – Meditation in Wellness Center, 10.00 am – 1.00 pm – Homams in Shanti deep. 8.45 – 9.00 am - Meditation in Wellness Center, 10.00 am – 1.00 pm – Homams in Shanti deep. 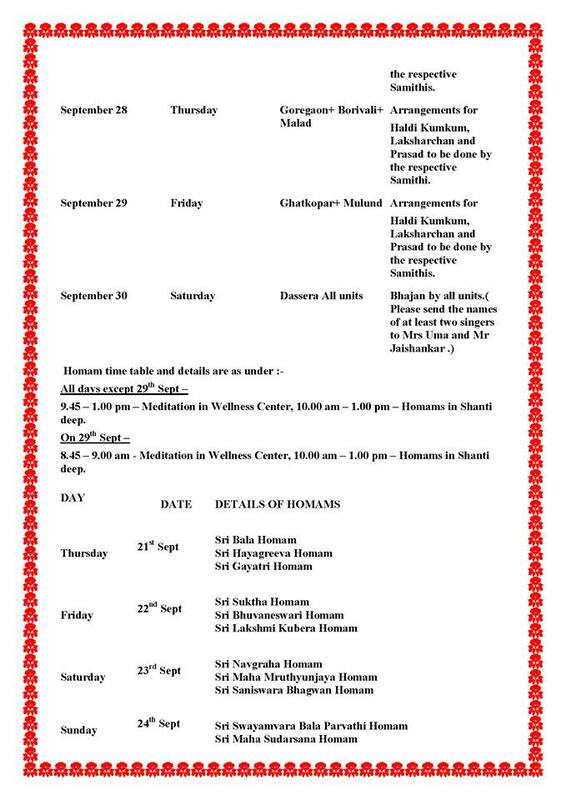 30th Samarpan Session at Dharmakshetra -Sunday 17th September 2017 - Talk by Dr Deepak Anand. 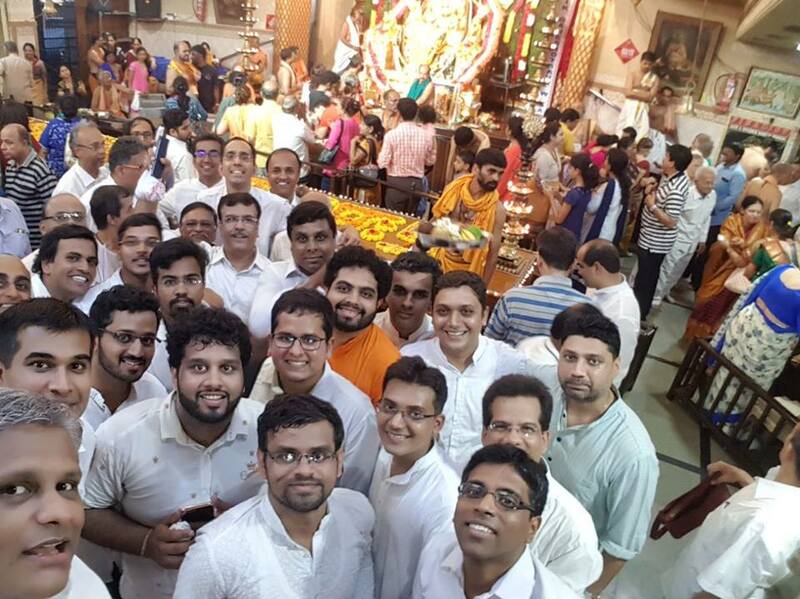 The 30th edition of SAMARPAN was held today on 17th September 2017, Sunday at the holy precincts of Dharmakshetra, Mumbai. Dr Deepak Anand is truly blessed to be in Swami’s close proximity for over two decades. Besides numerous interactions with Swami at Prashanthi Nilayam and Brindavan, he was blessed to be part of Swami’s entourage on His visits to Kodaikanal on four occassions. Brother Deepak Anand hails from New Delhi. 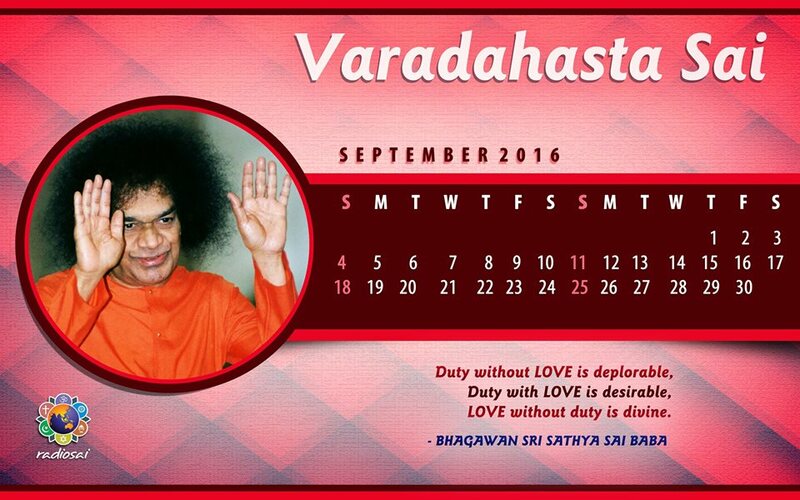 He and his family had first darshan of Swami in the year 1974. Since then the family has been an ardent devotee. He joined Swami’s Institute to puruse MBA in 1997. After completing his MBA course, he was blessed and guided by Swami to pursue Ph.D. in International Finance and received the Degree from the Divine Hands in 2004. Since then he has been an Assistant Professor in the Dept. 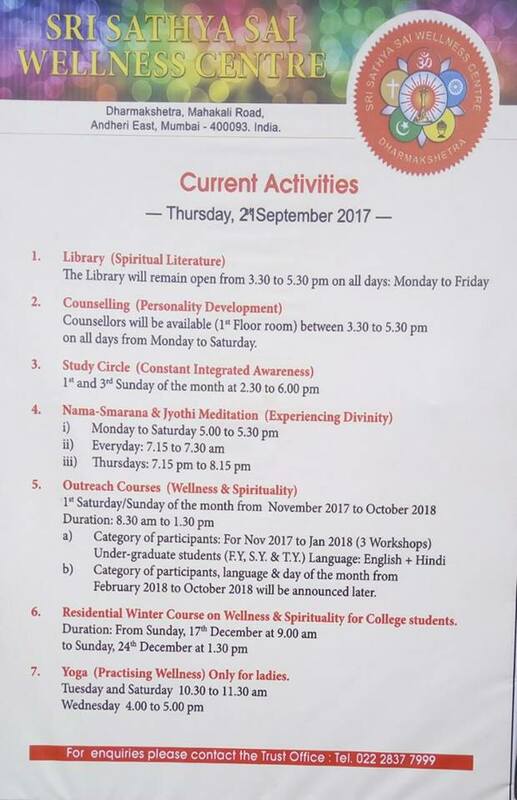 of Management at Swami’s University. His father has been blessed to be editor of ‘Sanathana Sarathi’, Swami’s monthly magazine, for the last 20 years. Throughout his career as a student and later, a staff member, Brother Deepak Anand was immensely blessed to be in close proximity of Swami. He was blessed on several occassions to speak in the Divine Physical presence. He was selected by Swami to play lead roles in various convocation dramas, directed by Swami himself. On many occassions, he was personally chosen and instructed by Swami to serve various dignitaries, on their visit to Prashanthi Nilayam. He is a prolific speaker and has been invited to various countries to share his experiences. He has recently released his book entitled, "Love Smile Now" which is an autobiographical account of his life with Swami and offers an insider’s narrative on Swami’s life, His relationship with His students and the way He moulds them by His loving touch of transformation. On the divine occasion of Navratri, we are happy to share the video recording of our recently held Samarpan talk of Dr. Deepak Anand Sir at Dharmakshetra, Mumbai on 17th September 2017. Enjoy the divine bliss and share the same with family and friends. 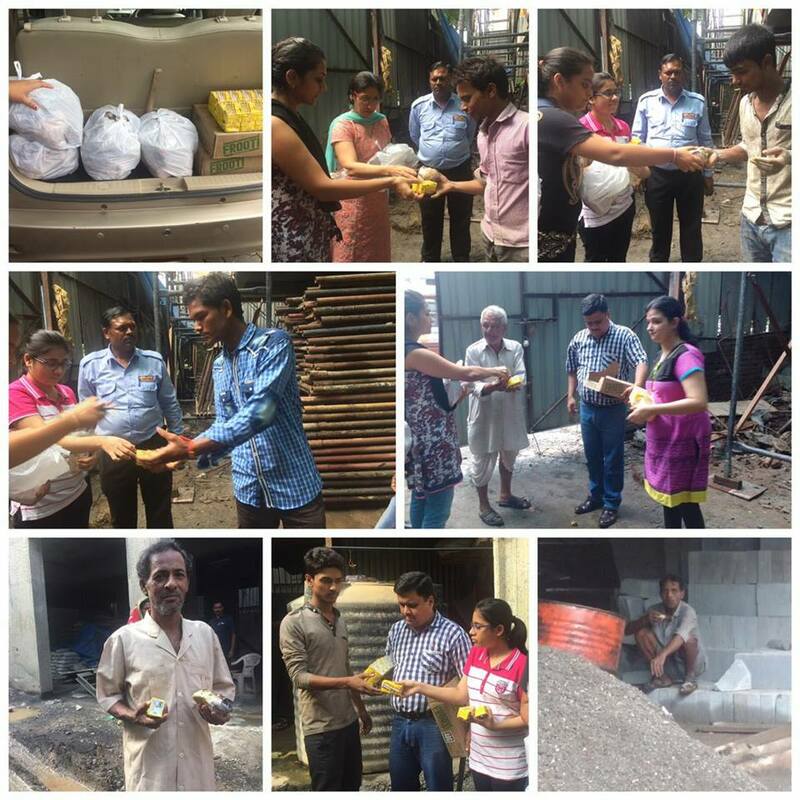 < style="margin: 0px; padding: 0px" p> < style="margin: 0px; padding: 0px" p> < p> < p> The sun was at its peak and Sai youth volunteers of Bandra, Khar and Santacruz Samithis decided to come together and quench the thirst of those toiling hard in the sun. 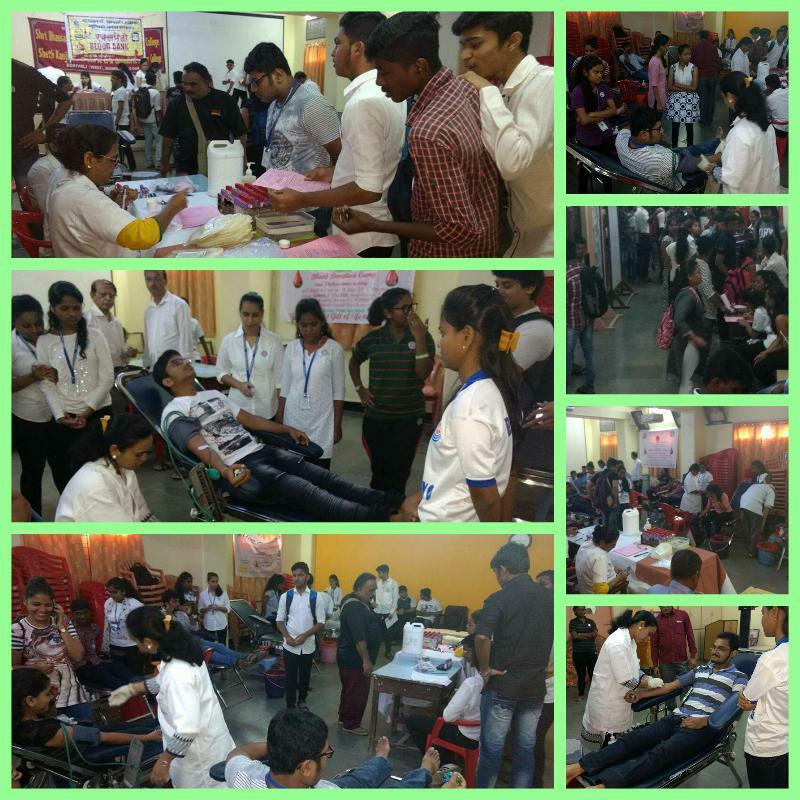 < style="margin: 0px; padding: 0px" p> < style="margin: 0px; padding: 0px" p> < p> < p> To give the greatest gift of life to mankind, Blood donation camp was held at Gokhale college, Borivalli (W) on 18th September 2017. The programme started at 8 AM and continued up to 2 pm. The spirit of enthusiasm for giving blood and persuading others to give blood was remarkable and whole atmosphere was charged including the hall and the verandas outside. One hundred and eleven units were collected. Thallessemia testing was also done for 143 persons. Those who were not Thallessemia savy will be informed in about 20 days so that possibility of giving birth to handicap children is averted. Photos attached. < style="margin: 0px; padding: 0px" p> < style="margin: 0px; padding: 0px" p> < p> < p> About 30 children attended the Spritual Retreat Camp. 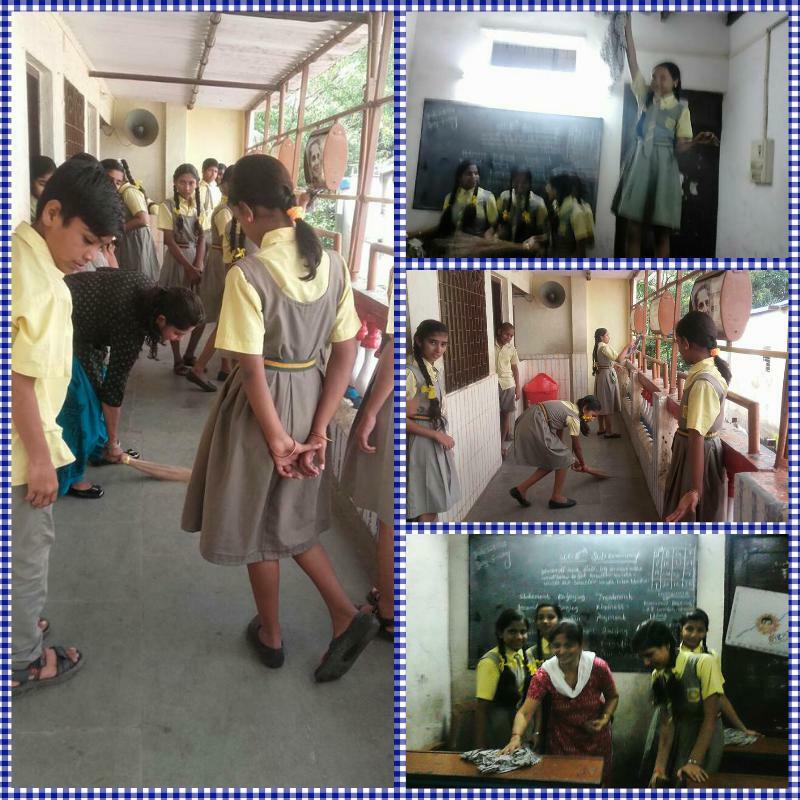 From the above 10 Bal Vikas Children of Group 3 attended the Samarpan Program. Melodious and soothing bhajans were rendered at Dharmakshetra today by Sangeeta Gogate, the grand daughter of Late Prof Deodhar who was well known in the music circles in Mumbai. After the lighting of the lamp, the muscial programme began at 5.50 pm and ended around 7 pm followed by Aarti and prasadam. Sri Sathya Sai Seva Organisation Walkeshwar and Fort Samithis invites you with family and friends for a musical presentation by Smt. 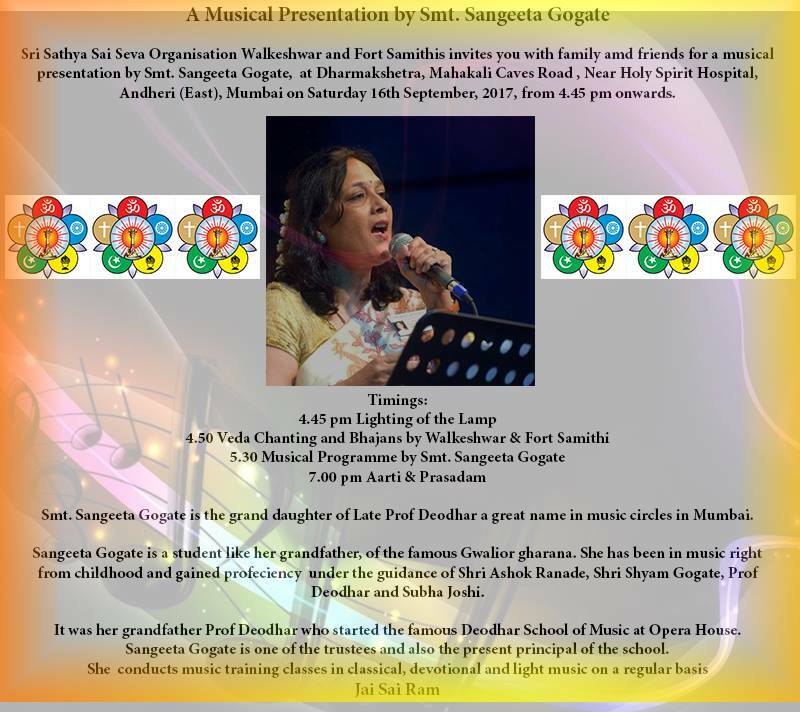 Sangeeta Gogate, at Dharmakshetra, Mahakali Caves Road , Near Holy Spirit Hospital, Andheri (East), Mumbai on Saturday 16th September, 2017, from 4.45 pm onwards. Smt. Sangeeta Gogate is the grand daughter of Late Prof Deodhar a great name in music circles in Mumbai. Sangeeta Gogate is a student like her grandfather, of the famous Gwalior gharana. She has been in music right from childhood and gained profeciency under the guidance of Shri Ashok Ranade, Shri Shyam Gogate, Prof Deodhar and Subha Joshi. It was her grandfather Prof Deodhar who started the famous Deodhar School of Music at Opera House. Sangeeta Gogate is one of the trustees and also the present principal of the school. 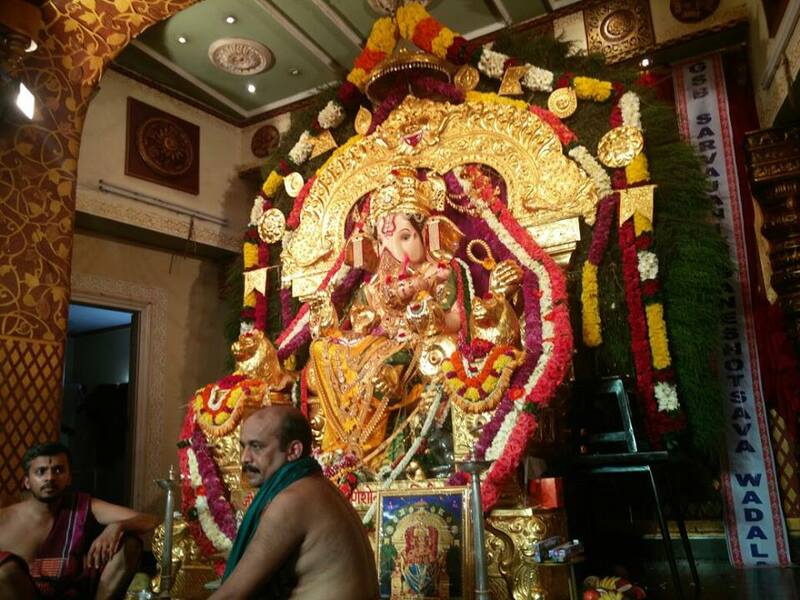 The chanting was done by Worli Samithi who did a tremendous job in planning the entire prayer session. 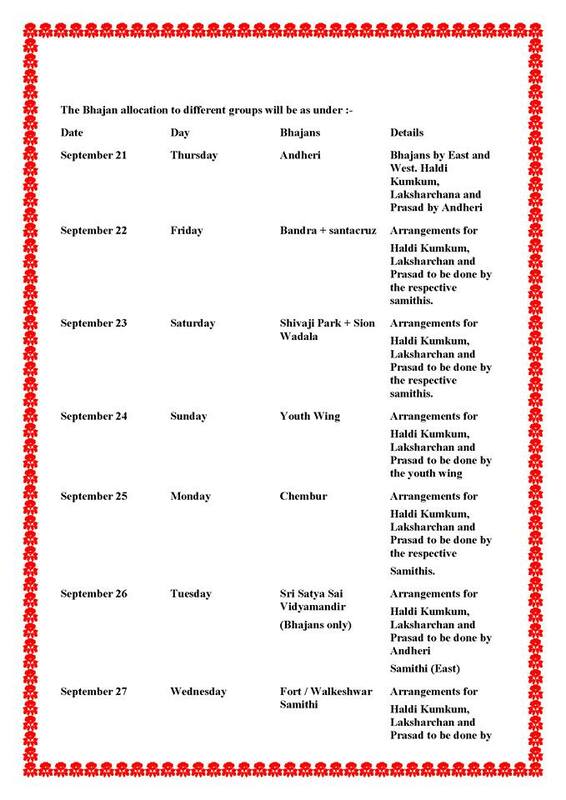 Einvite from Walkeshwar & Fort Samithis for Maha Mrutunjaya Dhanavantri Mantra Japa alongwith Linga Abhishekam at Dharmakshetra on Sunday 10th September 2017. 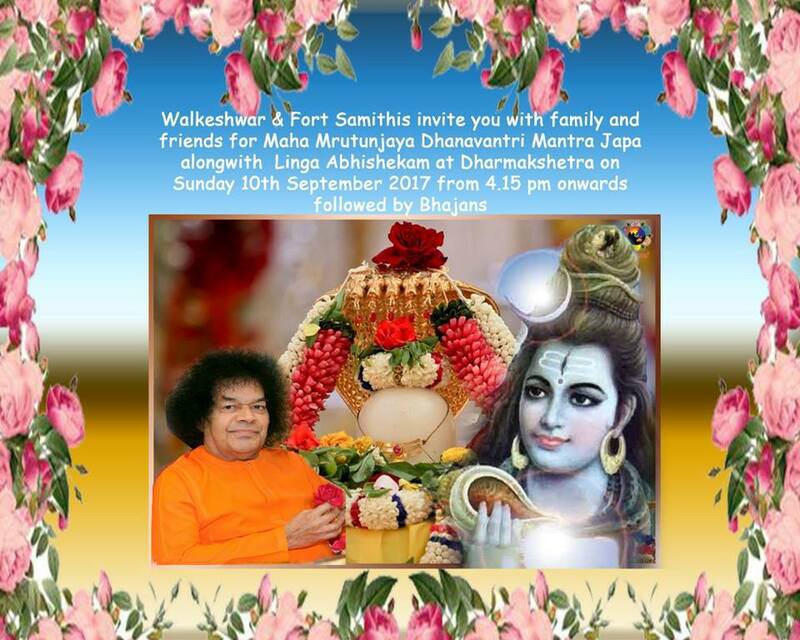 Walkeshwar & Fort Samithis invite you with family and friends for Maha Mrutunjaya Dhanavantri Mantra Japa alongwith Linga Abhishekam at Dharmakshetra on Sunday 10th September 2017 from 4.15 pm onwards followed by Bhajans by Andheri Samithi from 6 pm to 7 pm. Seva Sadan Society is a not-for-profit organisation established over a century ago in 1908 to protect, educate and empower disadvantaged girls and women with the focus to reduce the inequities of opportunity between the privileged and the underprivileged. Members of the Fort Samiti visited Seva Sadan Society at Gamdevi on Thursday, 7th September 2017. The society looks after about 75 girls who are orphans or whose parents are very poor. The girls attend school and help the society in their spare time. Each girl was given a bag of toiletries consisting of a face napkin, Godrej soap, Parachute coconut oil, Ponds Talcum powder, Colgate toothbrush, tooth paste, hair clips and hair bands. Cakes and biscuits were given to them during their tea break. The President Ms. Guddi Advani, who looks after the society, was very happy to receive us, and the girls were thrilled to receive their gifts. The place was packed and vibrating with lot of Ganesh bhakhtas who seemed to enjoy every moment of Sai naamsankirtan. This was possible due to lot of effort put in by boys from various Samithis and a blissful mix of Strotam, Devotional songs and bhajans. Thanks to all the devotees who could make it to the venue. 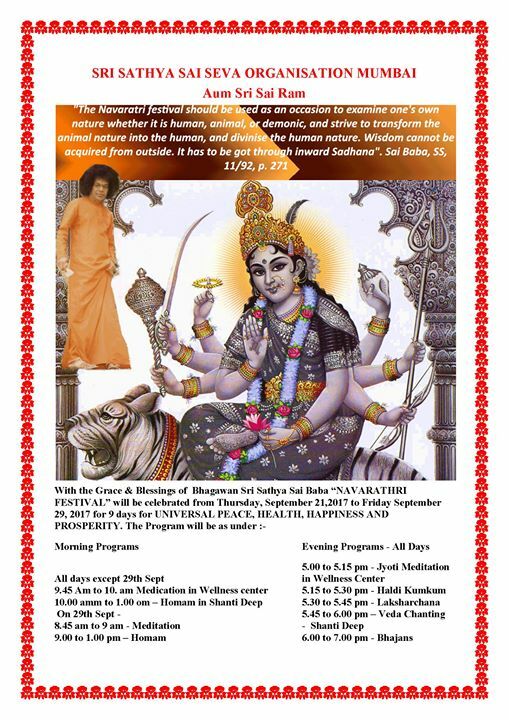 With Bhagawan’s Grace and Blessings, the 30th edition of SAMARPAN is scheduled on 17th September 2017, Sunday at the holy precincts of our very own Dharmakshetra, Mumbai. On such an occasion, we have an opportunity to listen to the leelas of the Lord from the devotees who were blessed with DIVINE association and relive those moments spent with HIM, re-connect with HIM and soak in HIS Divine presence. 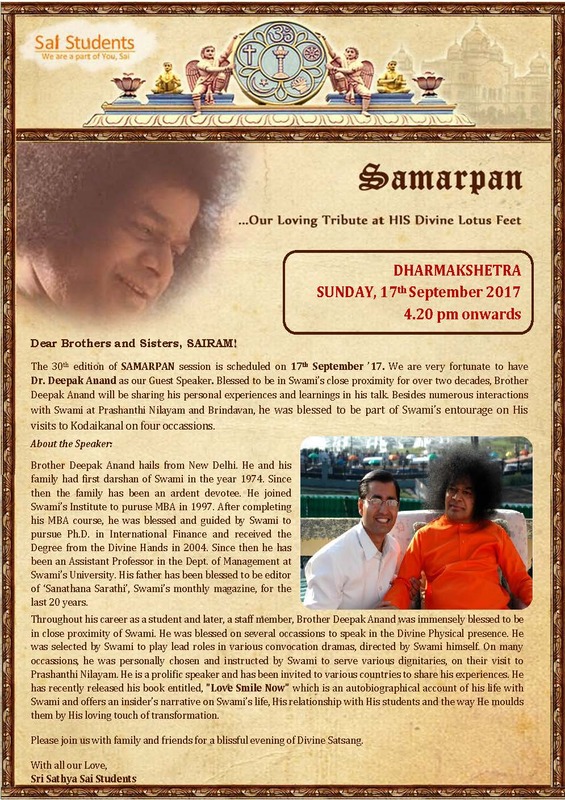 For this edition of SAMARPAN, we are fortunate to have Dr. Deepak Anand speaking to us, and he will be sharing his personal experiences and lessons learnt from the times he spent with Bhagawan. Kindly join us for a Divine and Blissful evening with your family and friends.